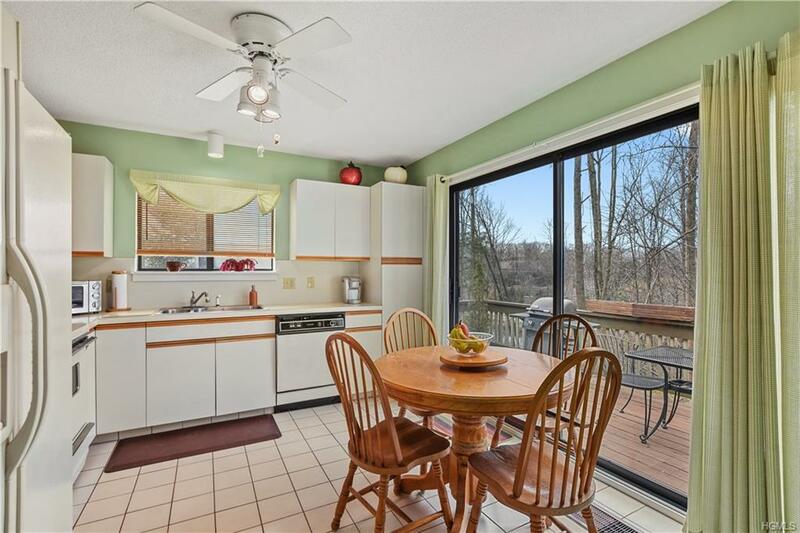 Such a wonderful, sunny and bright Guilford end unit with attached garage. 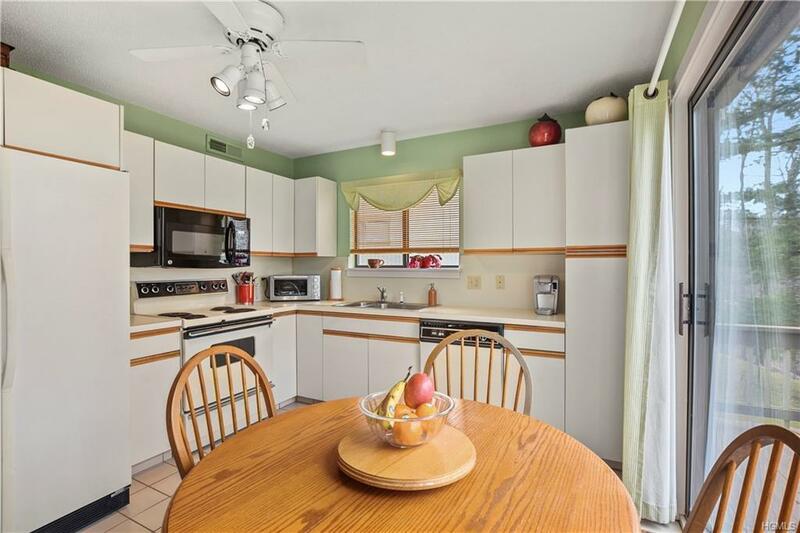 This condo has been lovingly and meticulously maintained. 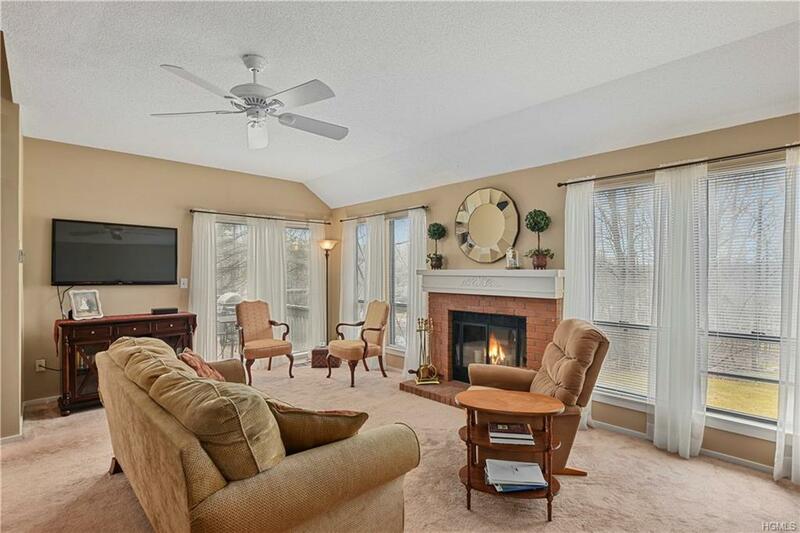 Master bedroom with walk-in-closet, ceiling fan, and updated master bath with updated walk-in shower. 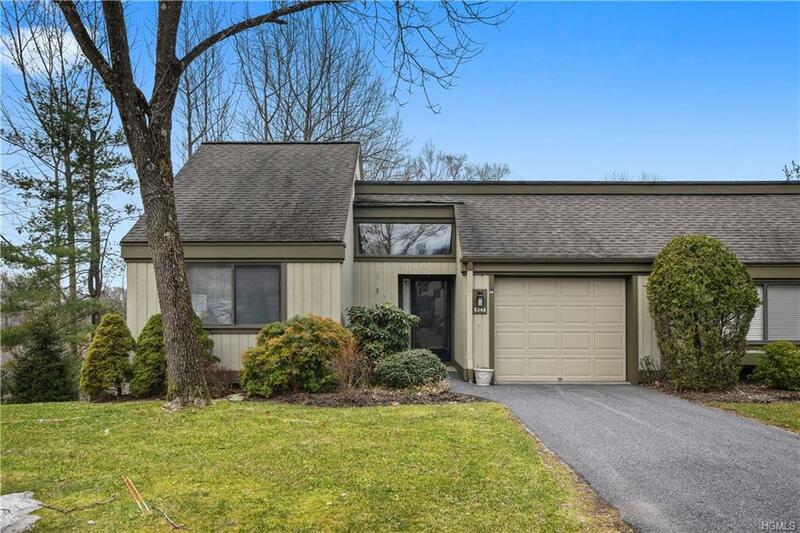 Updated powder room and then seven steps down to the formal living room with fireplace, dining room area, and eat-in-kitchen with sliders out to the very private backyard deck overlooking the pond. Washer/dryer (2016), hot water heater (2011), microwave (2016).HOA fee of $575 = Condo 17 $416.05 + Society $111.01 + Sewer fee $48.16. Included in the Condo 17 fee is a capital project charge of $89.25 payable to 2024. Taxes without Basic STAR of $1701. 3/25/19 as per mgmt: Renting is allowed. Flat roofs will be replaced this spring/summer.